Deadly Movies, Do You Remember When? Ahh 1989, a good year for quality popcorn cinema. Film fans could stroll to their local theatre to see the cinematic revival of Batman, the return of the Ghostbusters, John McClane feeling like a TV dinner, or Marty and Doc time-traveling without need for roads. All good solid ways to spend two hours in the dark. However there was another option. Something even more spectacular, scintillating, and satisfying.., that’s right, Dominique Othenin-Girard’s ‘Halloween 5‘. First time viewers of H5 would be treated to one of cinema’s most enduring moments, a scene that would forever adorn tribute montages at glitzy award ceremonies for decade to come. That scene, of course, is Michael Myers cruising for babes in (what I believe to be) a 1960s convertible Camero. What can you say? The man has taste. After picking up and droping off the incredibly irritating Tina (how a psychopath refrained from killing her, when men of sound minds struggle, is beyond me) at a gas station, Michael can be seen having a quick pose down in his classic wheels before speeding off for a good night’s partying. Both of Rob Zombie’s Halloween efforts sorely lacked Michael driving classic muscle cars. I salute you whacky 1980s filmmaking. 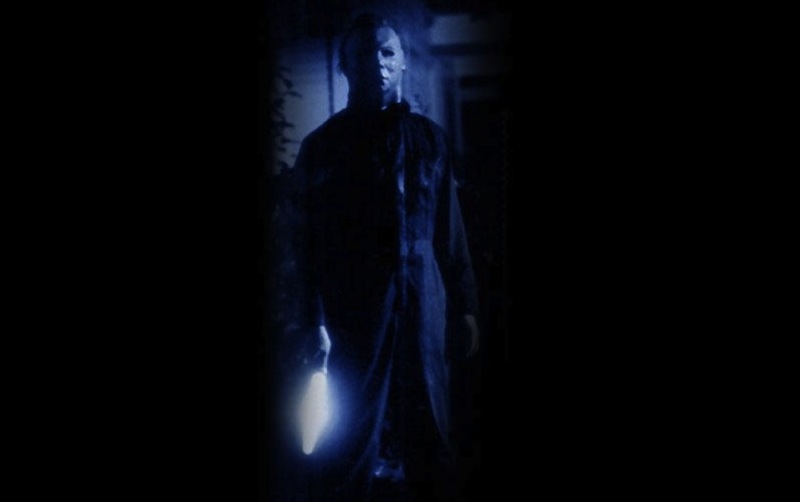 RZ’s Halloween 2 debuted in the US back in August (like 2007’s Halloween, which is ridiculous, launch the film in October and show some pride in the Halloween franchise) and it’s safe to say the reaction was, as expected, mixed. Many people, horror fans included, don’t enjoy RZ’s aesthetic style, and this film, more than the first, is very much a Rob Zombie joint. 5.2 on imdb, 20% on Rotten Tomatoes critics, 48% from the RT community, and 46/100 on Metacritic speak volumes for it’s so-so reception.